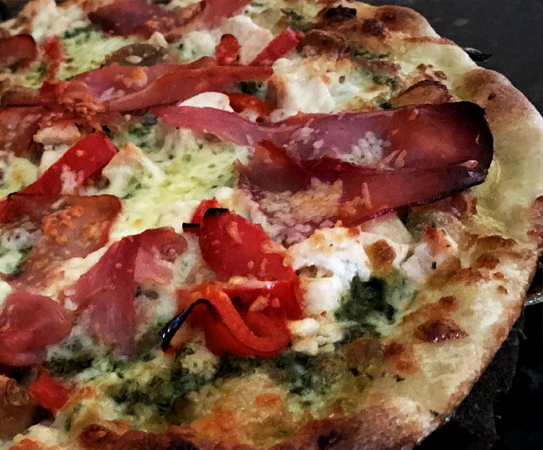 White pie with a pesto base, roasted chicken, roasted garlic, roasted red pepper and prosciutto. White pie with roasted red potato, broccoli rabe, sausage, blue cheese and Mike’s hot honey. Red pie with smoked mozzarella, red onion, ricotta, Italian dry salame, and finished with fresh basil and hot oil.